Last week I wrote about what happens when mechanical insulation fails. The results aren’t fun—in fact, they’re costly, frustrating, and wasteful of energy and resources. But an insulation system does not need to be completely compromised in order to cause problems. Insulation is often out of sight, out of mind. Many people consider it a “one and done” installation that they don’t need to revisit. When it comes to preventative maintenance in facilities and buildings, insulation is frequently left out. It’s not hard to see why—mechanical insulation can be easy to forget about. There are no knobs, buttons, gauges, or computer monitoring. It’s simply not directly in front of people every day. So, if you never check up on it, how do you know if your mechanical insulation is really doing its job? Insulation contractors design and specify each individual system to meet certain conditions. They carefully select the correct insulation material, thickness, jacketing, etc. to meet the needs of the project. By comparing the current energy loss to the insulation recommendations, contractors can project a potential energy savings, which becomes the client’s expectations for their system ROI. Sometimes a project’s budget is too prohibitive to allow for the correct mechanical insulation to be specified. Whether it means compromising on insulation thickness finishings, or overall installation, an unrealistic budget may cause the insulation to be value engineered, which in turn leads to a significant reduction in performance. It is estimated that between 10-30% of all mechanical insulation becomes missing or damaged within 1-3 years of installation. The damage can occur during installation (other trades working around the insulation and causing damage that way) or through general use. If a mechanical insulation system is damaged, then it is not performing as specified and the results will be less than expected. Sometimes it’s not a matter of direct damage or improper specifications, but simply a general neglect of the system that causes it to underperform. If left unchecked, sections of insulation can start becoming loose, pulling away from the piping, exhibiting “hot spots,” or opening at the joints. Do a visual inspection. Be on the lookout for any of the symptoms of damage or neglect described above. 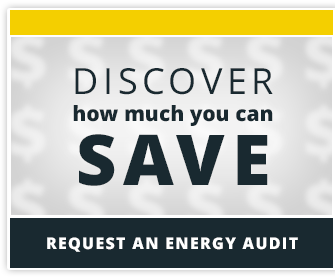 Contact an insulation contractor and get an insulation energy audit to determine where any problem areas may be and get recommendations for fixing them. To always keep your system in peak condition, be sure to implement an internal mechanical insulation maintenance plan in your facility.